Click on the photo to advance to the next photo. Easter Sunrise (Sunday) - 7:30 AM - Why did Jesus die? "The Resurrection Is Now!" Outdoor Sanctuary with lots of singing & a short sermon. Please mark your calendar for our next meeting of Hollydale United Methodist Women which will be heldon Tuesday, April 16. ALL LADIES are invited to join us!! We hope that you will be able to join us for our meeting. Thank you for your support of United Methodist Women as we work to serve women, children and youth all around the world. EASTER WORSHIP SERVICE AT 11AM. Bring a rake, a shovel, a wheel barrel, work gloves, etc. and help YOUR church be Spring ready for Easter! SPRING SOCCER @ HOLLYDALE UMC STARTS MONDAY! Start Date: Practice Starts Week of March 25th, Games Start April 6th. Practices and games held at 2364 Powder Springs Rd, Marietta, GA 30064. Join us for the March Covered Dish / Pot Luck Lunch this Sunday, March 24th after worship service! Bring your favorite dish or pick up something to share and come enjoy some fellowship with your Hollydale UMC family! The Lent Season is upon us! Tomorrow is Ash Wednesday! Hollydale will hold its Ash Wednesday Servicetomorrow at 7pm, following theWednesday Dinner. Please plan to join us for dinner and fellowshipat 6pmand stay for the service to begin the Lenten season with worship, reflection, reconciliation and the imposition of ashes. If you are unable to attend the7pmservice, there will be an offering of the Imposition of Ashestomorrow morning at 10:00 amat the church. Attached please find a schedule of the Lenten Season sermons that will be shared by Pastor April, along with aLenten Timeline that explains a little bit about the Lent Season leading up the Easter Sunday. You might ask……What's with the ashes? The ashes remind us of our mortality and they are also our symbol of mourning and repenting for our sins. These are reminders of our need for a Savior. The ashes placed on the shape of the cross on the forehead of each Disciple transform the ashes into our proclamation that we have such a Savior in Jesus Christ! Ash Wednesday is a vital and holy time as we begin the season of Lent. Have A BLESSED day and see you at dinner on Wednesday at 6pm! Due to the freezing temperature expected, Wednesday morning Bible study is cancelled. 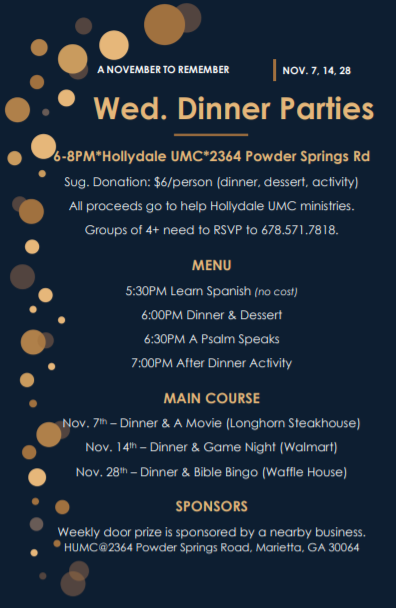 Right now, we still plan on Wednesday night dinner at 6pm and church wide member informational meeting at 7pm. On Wednesday, January 30th, at 7PM we will hold a church wide members meeting to share the exploration team's progress on what the missional merger would look like. The exploration team is going to meet four times to plan together. Just two of those meetings will have taken place by the time of this meeting so there will not be a finished idea to share; but we will be able to share written answers to some of the biggest questions we have heard from the congregation and provide updated information. The agenda for the meeting is below. Please continue to fast and pray for this meeting, the exploration team and our entire congregation that we would be guided by God to what will facilitate reaching and discipling those in our community for Christ. May we allow the peace of Christ to reign in our hearts. Refreshments will be served after the 4:30 performance. “Paint Out Pain” of Color II is coming up on December 15th! Think what a wonderful gift this would be to help someone who struggles with abuse. There are many who don’t recognize they are being abused, while others see it happening. P.O.P. “Paint Out Pain” is returning to Hollydale UMC on Saturday, December 15th from 1pm-4pm, led by Ms. Janie Deadwyler. Below is a link that will provide you with the details and you can purchase tickets and register to attend. Pray for this event, those leading and attending, that it will open the eyes, hearts and minds of those who are needing it the most! Thank you. P.O.P. "Paint Out Pain" will help you to see how to release the hurt of emotional, verbal, mental, physical and psychological abuse. Finally release these emotions in a creative, safe and freeing atmosphere. •	What or Who hurt you? •	How many times have you seen the 'RED FLAGS?" •	Are there children involved? •	What Would You Do? •	Can you give unconditional love over and over again? •	What makes you think you can change them? Please join us at Hollydale United Methodist Church on Saturday, December 1st 9:00 am–12:00 pm. We will have pancakes, visit and pictures with Santa, special activities for the children and a Kid’s Secret Santa Shop where the children will be able to “shop” (no money needed) for small gifts for family, and have them wrapped and ready to give at Christmas! Afterward, everyone is invited to go caroling in the community starting around 1pm! Tell your family, neighbors and friends! •	We need pancake mix (the kind you only add water) butter/margarine and syrup for our Breakfast with Santa. If you are able to help, please bring it to the kitchen and leave on the counter. •	We need volunteers to help make the pancakes and serve the community. •	We need volunteers to help with the Secret Santa Shop. Janie Deadwyler is coordinating the shop, so please let her know you can help with set up, helping the kids pick out gifts, wrapping, etc. Her email is janie.deadwyler@gmail.com A sign up sheet is also on the counter in the narthex, please sign up! •	We need donations for the Secret Santa Shop. We are looking for items such as jewelry, picture frames, ornaments, mugs, candles, little toys, hand towels, pot holders, small tools, knickknacks, socks , gloves, scarfs, hats, nail grooming sets, golf balls, wallets, purses ,makeup bags, coffees, teas, candy, flash lights, keep sake boxes , coasters, crafts, vases, wind chimes , garden tools, wall decor, children's books, ties, & hankies (male and female), small potted flowers , *Christmas decorations, movies, music. Things like that. *This is the time you can re-gift items given to you that are not to your taste and clean up a little at home! •	Wrapping paper, ribbons & bows, tape, gift bags of all sizes and gift tags. All items can be dropped off in the fellowship hall and placed in the 5th room on the right (formerly a pantry storage area). Please mark it “Santa’s Shop”, so it’s apparent what it’s for. Share this with your family, friends & neighbors! We thank you in advance for making the little ones so happy and boosting their self esteem! P.O.P. “Paint Out Pain” is returning to Hollydale UMC on Saturday, December 15 from 1pm-4pmth, led by Ms. Janie Deadwyler. Below is a link that will provide you with the details and you can purchase tickets and register to attend. Pray for this event, those leading and attending, that it will open the eyes, hearts and minds of those who are needing it the most! Thank you. P.O.P. "Paint Out Pain" will help you to see how to release the hurt of emotional, verbal, mental, physical and psychological abuse. Finally release these emotions in a creative, safe and freeing atmosphere. What or Who hurt you? How many times have you seen the 'RED FLAGS?" Can you give unconditional love over and over again? What makes you think you can change them? Check out the “November to Remember” activities flyer attached for Wednesday’s in November. Hollydale United Methodist Church is exciting to be hosting a “Paint Out Pain” event in honor of Domestic Violence Awareness, lead by Janie Deadwyler on Saturday, October 13th from 1pm-4pm. There is limited space, so get your tickets early! P.O.P. "Paint Out Pain" will help you see what you are blinded by and release the hurt of emotional, verbal, mental and psychological abuse. Finally release these emotions in a creative way and freeing atmosphere. LIMITED SPACE: GET YOUR TICKETS EARLY BY: OCTOBER 8, 2018. A link with further details is below. Get Tools To Build Each Other Up! 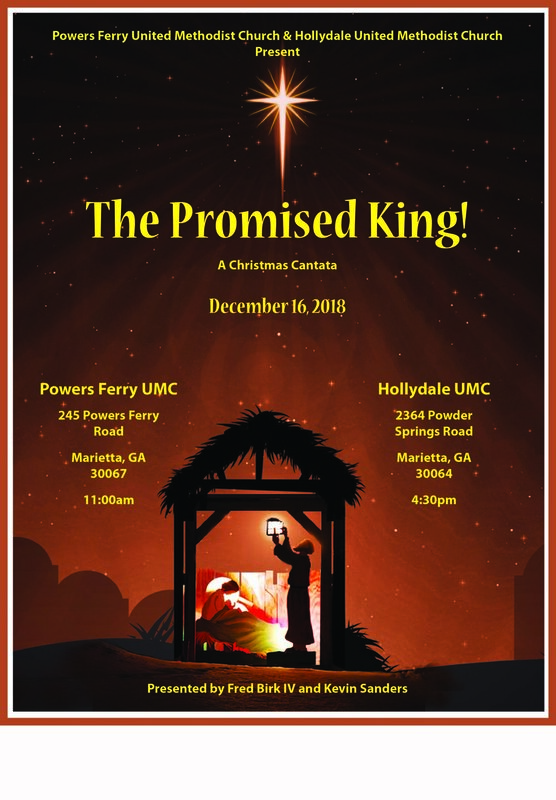 You and your family and friends are invited to enjoy a Special Weekend of Music at Hollydale UMC! “Give me Oil in my Lamp!” We never want to be lamps without oil! Join together for this time to hear music and testimony and remember the Lord's grace & goodness! Come, let your lamp be filled with the oil of the Lord! May the light of Christ shine brightly in and through you for all the world to see! Let Him set your feet & heart to dancing! If someone you know wants to share a solo, a song set or a testimony, please have them text Pastor April at 678.571.7818 or email to aprilellisellis@gmail.com. Come out and be blessed! Lunch will be served immediately after our service. Donations collected will be directed to general funds with special emphasis on pension & insurance. Don’t forget to bring a friend – or two – or more!!! “OIL FOR OUR LAMPS” Special Weekend of Music, August 17 (7-8pm), 18 (7-8pm) & 19 (11am)! Southern Gospel, Bluesy Rock & Traditional. “Give me Oil in my Lamp!” We never want to be lamps without oil! Join together for this time in August to hear music and testimony and remember the Lord's grace & goodness! Come, let your lamp be filled with the oil of the Lord! May the light of Christ shine brightly in and through you for all the world to see! Let Him set your feet & heart to dancing! You and your friends and family are invited to enjoy a Special Weekend of Music in August at Hollydale UMC! If someone you know wants to share a solo, a song set or a testimony, please have them text me. Come out and be blessed! Let God set your feet & heart to dancing! Light refreshments and coffee will be provided after each service.